Some thoughts on source material about events of 1483, the pre-contract and murder. The reaction to the first part of “Kendall 2014” has been interesting. “According to Williams, Brampton was sent to Portugal as early as 22 March 1485, only six days after Anne’s death. 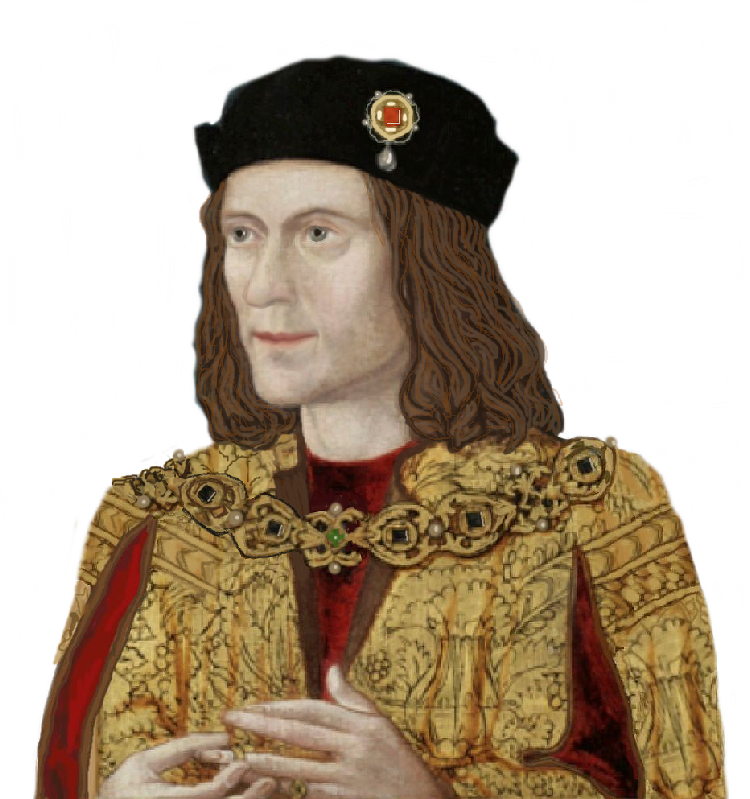 ‘Brampton brought a double proposal to Portugal – for Richard to marry Joanna and for Elizabeth of York to marry…John, Duke of Beja…In return Richard offered, if necessary, to send an English army to help the King against dissident members of the aristocracy…'” – ie Brompton was despatched eight days EARLIER than we had previously known him to have been in Portugal, although the sea journey would surely be shorter. Apparently, some people think that the Portuguese archives mean something other than they actually say. Now on to an even more important issue – that of her brothers, the “Princes”. Writing towards a 1955 publication, Tanner and Wright’s report from 1934 would still be fresh in the reader’s mind and Kendall’s first appendix assumed the full accuracy of their conclusions, including their approximate ages at death – “the Princes were murdered at the instigation of one of three men” (p.466), an assumption also followed by Tey in her remarkable amalgam of C15 history and C20 fiction. In the nearly sixty years since his publication, science in particular has marched on and the Tanner-Wright conclusions, having been reviewed by later practitioners, can no longer be said to follow their basic report. Hanham, Williamson and Fields, in the seventies and eighties, were the first to dispute the assumption that the boys had necessarily been killed by anyone at all, a disputation that necessitated a challenge to the scientific conclusions. Leslau’s theory that both lived on in close proximity to (of all people) More dates from this period. It was followed by Wroe’s 2003 “Perkin” and Baldwin’s 2007 “The Lost Prince”, both being full-length expositions of hypotheses that one “Prince” or other may have lived until executed in 1499 (Wroe) or did live peacefully into the 1530s (Baldwin). Ashdown-Hill has referred to the subject obliquely in the excellent “Eleanor” and traced a lock of hair from Mary “Tudor” (Brandon), their niece, although it was of no avail in mtDNA terms. He has also written about Richard’s brief Low Countries exile, which should serve as a significant clue. It is the recent arrival of Carson’s “The Maligned King” that has moved the situation on further. Chapter 9 (pp. 167-199) reviews the various survival options, the Gipping possibility and “Perkin”‘s “chain of custody” until he reappears with the Brampton household, the sheer improbability of: the killings and single-handed burial ten feet deep with nobody else on a busy site noticing, the removal and reburial by the same priest before the bones mysteriously returned to the first site, the unmolested life of the “culprits” (Tyrrell and Dighton) until 1502 and the latter’s “confession” eight or more years after his execution. Chapter 10 (pp. 200-233) deals with the science, in the era of DNA analysis, which identified Richard himself. The more recent experts are referred to from page 215. They disagree with each other a little but it is noticeable that they contradict Tanner and Wright. We cannot be certain of the remains’ gender or congenitality, whilst the elder corpse suffered from a jaw disease of terminal effect that witnesses must have noticed, except that nobody did. Furthermore, evidence is adduced (p.214) that the depth of the burial suggests the eleventh century. It is now apparent that we cannot assume either of Edward IV’s remaining sons to have been killed during 1483-7 by anyone. Of course, it is a trait of the Cairo-dwellers to adhere firmly to any convenient statement, even when they know that it has been comprehensively disproven. This may be the issue where cognitive dissonance gives way to a degree of dishonesty on their part. It is important to note that, by 1478, Richard of Gloucester had only three (legitimate or then thought so) fraternal nephews. Of two, subsequently proved illegitimate, the fate is unknown. Of the third, excluded by attainder, we know that Richard treated him well, only for Edward of Warwick to be imprisoned almost immediately after Bosworth and eventually executed on a pretext. Richard’s conduct in this case should attest to his character and likely treatment of the first two.